Professional Geeks is a series of interviews with some of the coolest people I know; people who pay their bills being geeks. Nivetha Kannan is a freelance artist and graphic designer. I first met her in Artist Alley at Tekko 2014 where she and her sister were selling high quality Digimon plushies (I still have my Tanemon almost four years later.) 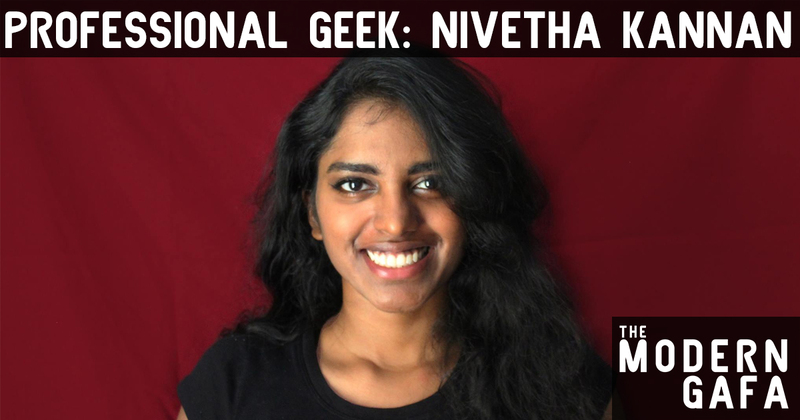 Nivetha has also worked on indie games and zines. Recently, she has been working at Cartoon Network. Nivetha Kannan: Since I'm a freelancer, the answer to this question is a bit convoluted. I ended up becoming a freelancer after I couldn't really connect with all the full time positions coming my way. I wanted to continue the things I love to do - drawing, making games, and working on personal projects. I'm happy to say that I've had much more time to pursue the work I like after becoming a freelancer. NK: I think it's the same as what its like for most people. But depending on the project I can work from home. I also end up working lots of hours outside of the standard work day if I end up taking on multiple projects within the same time frame. But I can also choose not to work during standard work hours. NK: Well, it's definitely made it easier to have passion for what I do. I think having a culture that you like along with people who are into the same things as you really helps as far as making friends and connections go. Also, because our community is so big and full of passionate people, it’s easy to have motivation for the things I do. 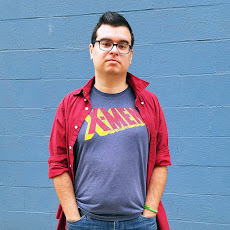 NK: I create my own hours and I have time to work on my personal geeky projects! TG: Do you still love what you do? Or has your hobby becoming a job tainted the enjoyment of it for you? NK: I still haven't achieved the goal of turning my hobby into my job. I'm certainly getting more geeky freelance work because I can choose what I want to do but I'm also taking on more standard work so I think I have an even amount of geeky and non-geeky work coming in. I guess I should be glad- it's made it so that I never get tired of the geeky things in my life!